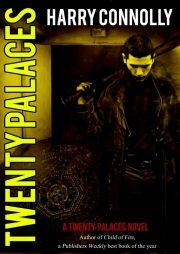 2013’s Twenty Palaces is a prequel to Harry Connolly’s Twenty Palaces series. Fresh out of prison, all Ray Lilly wants to do is find a legitimate job and rebuild his life. His uncle Karl, a cop, warns Ray that his future won’t be as straightforward as Ray hopes. Ray may think he’s paid his debt to society but society doesn’t agree. As it turns out, American unfamiliarity with mercy is the least of Ray’s problems. Some of Ray’s old friends have picked up a very interesting hobby: magic. When last we saw our heroes, monsters from another dimension had swarmed out of an inter-dimensional gateway to overwhelm the Morning City and then the Peradaini empire (of which the Morning City had been the capital). As the cast of characters dwindled rapidly (in a way that those of us with crappy memories appreciate) the survivors have gained a realistic understanding of their situation. The empire is dead, although parts of it remain unconquered by the invaders. But it gets worse. 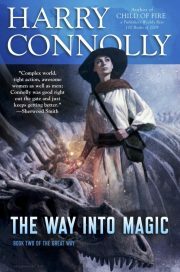 March 18 is my birthday and as a birthday present to myself, I am going to be enormously self-indulgent and review Harry Connolly’s A Key, an Egg, an Unfortunate Remark. 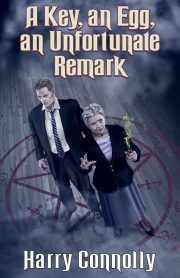 Not just because it’s a pacifist urban fantasy, although it is (and that’s quite remarkable all on its own), but because I am mentioned in the acknowledgments. 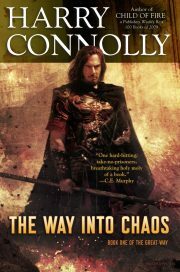 2014’s The Way In to Chaos had the working title Epic Fantasy With No Dull Parts. That’s a goal ambitious enough to make this the first new book that I have read in 2015. The sunniness of my outlook and the degree of malice I will bear toward the hundreds of books by hundreds of authors I will read over the next twelve months may well be affected by my reaction to this book. But no pressure!